You know how some “experts” say that when you wake up at the same time every day, then your body adjusts and you do it automatically and even with the smile on your face? Why am I torturing myself then? Well, see – here is the weird thing. If I let myself sleep as much time as I want, I usually oversleep and have little annoying headaches the rest of the day. The biggest reason though is to get some time for myself. Time to prime for the upcoming day. Time to think and reflect. Time to take exercise a bit and take a cold shower. Time to write, like I do this very second. Anyway, today I’d like to tell you guys a little story that happened to me a few weeks ago. As some of you might know I oversee the development of the new software for the financial company that operates in the marijuana industry. How did I get involved in this project? Pretty standard scenario. The person who was in charge of it wasn’t technical and busy with some other stuff. As the result, A LOT of money and time was wasted, multiple teams hired, a lot of code written and giant unusable mess produced in the end. That’s when they reached out to me asking if I could somehow take on this project. By the way, just so you know, I’m not doing typical contracting work or “freelancing”. In fact, I honestly HATE freelancing. Want to know why? Ok, then subscribe to my list and stay tuned. If I get involved in the project, I get a piece (percentage) of it. That’s my motivation. I tend to stay away from brand new startups with nothing but shiny new ideas and very limited financing and only work with people and companies who either have an existing customer base (audience) or existing product that works and needs to be taken to another level. I promised you a story today, but I’ll actually give you two. That financial product that I mentioned above was written using technology I didn’t work with before. There was a short deadline, so I didn’t want to re-write everything from scratch. My goal was to create the first usable version (v1) using the existing code and then create the next major version using another more modern tech stack (only when and if v1 gets the initial traction of course!). Special note for technical people like me – remember, it’s not about technology. NOBODY CARES about the underlying language or if it’s all dockerized and serverless. NOBODY CARES! Ok, going back to the story. Like I mentioned before, I didn’t work with particular technology and my first “engineer” reaction was to spend a few weeks and pick up new language and platform (SalesForce). “I’ll just figure it out myself! Plus it’s kind of fun to play around with the new toy”. Raise your hand if you can relate? Fortunately, it wasn’t my first rodeo and I was able to quickly stop myself from spinning into the “let me do it” mode and instead focused on the “who can help me” part. 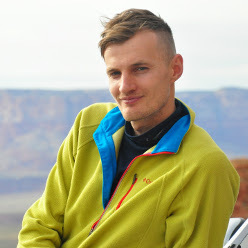 After about an hour of going through my tech connections in Belarus, I was on the phone with Dmitri, the guy with 10 years of experience in SalesForce development. Exactly what I needed! Another hour later I had a pretty firm understanding of the platform pros and cons. All thanks to Dmitry. He told me everything I wanted to know and even gave some specific project recommendations. Do you know how much did I pay him for the consultation? Zero dollars! He just didn’t want to take my money saying that the relationship is the most important part. So true. It’s not even the best part. Like most of the other successful freelancers, he was pretty busy with existing clients but I needed someone to help me full time. Guess what, Dmitri introduced me to two more SalesForce companies and I ended up hiring one of them for the project. Boom. I made a big fat note on my connections list that says “hire Dmitri for another SalesForce project because he is awesome”. Plus I’ll try to meet him next time I go to my hometown to pay my dues. Now let’s look a the second story. I promise to keep it short. Same project, about a month later. We encountered some “interesting” problem with database connections. Basically, we needed to come up with a way to connect to the external point of sale system without manual hacks. As usual, my initial engineer reaction was to dive in and figure it out. Then I remembered my friend Max was working with this particular technology, so I called him and asked if he could help out. He didn’t encounter that specific problem before, but as we kept talking I went on and on about the importance of delegation. Then it hit me, why don’t I create a task on Upwork, explain my database problem and see if I would be able to quickly find someone knowledgeable there. And so I did! In about 10 minutes after my conversation with Max, I had my Upwork job listing ready and switched to more important items on my to-do list. 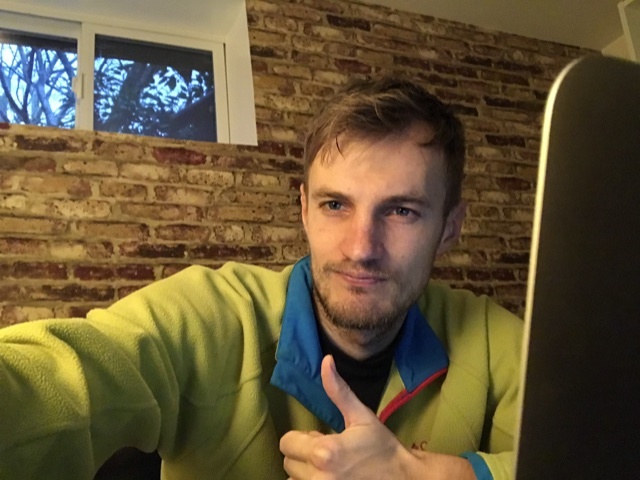 There weren’t any responses in the first few hours after posting and I started to think that the task I described is too complex or impossible to do… I went to sleep with doubts in my mind, trying to come up with other alternative solutions. Lucky me, when I opened Upwork next morning, there were 2 candidates who responded to my post. Both with the impressive background and positive reviews! Great. I decided to chat with them to explain the problem a bit more and see if the solution is even possible. Essentially I sent both guys the same message and waited for the responses. The first guy Yegor just responded like this “It will take at least 3 hours”. I asked if we can do paid 20 minutes consult over Skype just to brainstorm the solution a bit more, as I was still skeptical if the whole approach was even possible. Now, let’s look at the other guy’s response. His name was Todor Todorov, pretty cool right? Then he literally explained two approaches in details – all without asking for a single dollar in return! The best part is that about 30 minutes after our chat he sent me one more solution that he tried a long time ago that he thought could potentially work in my situation. I was simply blown away by that guy. Todor’s input made me change the initial approach and we ended up solving the problem in a totally unexpected and elegant way! The takeaway – always focus on providing value to other people, even if you don’t get the immediate return. Don’t be afraid of giving free advice even if you have some product or service to sell. Build the relationship first! That’s all I have today. Cheers! How reading almost killed me… and why you should still do it. Next Next post: How reading almost killed me… and why you should still do it.